The Hall of Fame honors individuals and organizations that have made a lasting contribution to freshwater fishing in Texas. Find out how to nominate an individual or organization for this honor. Shannon Tompkins, reporter and columnist at the Houston Chronicle, focuses on the Texas outdoors with an emphasis on freshwater fishing and hunting. Tompkins is a past president of the Texas Outdoor Writers Association. 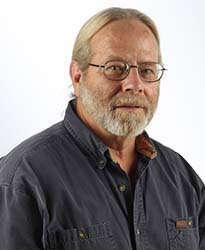 His reporting has won national and state awards to include the Sierra Club’s Lone Star Environmental Reporting Award, multiple Excellence in Craft awards from the Texas Outdoor Writers Association and the Outdoor Writers Association of America, and an award from the Texas bureau of The Associated Press. Tompkins has covered a wide range of freshwater fishing topics including recreational fishing highlights, state fisheries management and regulations, and aquatic invasive species and their impact on the environment. His writings have reached millions of people across Texas. The Lake Fork Sportsman’s Association has worked to protect and promote Lake Fork’s natural resources since 1999. The LFSA has partnered with state and local agencies, community organizations, and high schools on many projects to include operating a live-release boat to decrease tournament stress on the fishery, donating tackle to high school fishing teams, hosting free fishing events to draw kids to the outdoors, placing artificial habitats into the lake to enhance recreational fishing, and planting native aquatic vegetation to improve habitat for fish and wildlife. The LFSA also established the Jesse Parker Memorial Scholarship, named after a longtime Lake Fork fishing guide and businessman, to provide tuition money to high school seniors pursuing a career in outdoor fields like fisheries biology and wildlife management. To date, the LFSA has given more than $20,000 to these students.